The results of the Office of Personnel Management’s annual survey of employees’ happiness and engagement across the federal government won’t be formally released until later this week, but thanks to officials at the Thrift Savings Plan including governmentwide data as a comparison point in a presentation Monday on the agency’s performance, we have a sneak peek at some of the overall data. According to the figures in the TSP presentation, governmentwide employee engagement on the Federal Employee Viewpoint Survey increased by 1 point over 2017, landing at a score of 68 out of 100 in 2018. Within that index, the issues of Leaders Lead, Supervisors and Intrinsic Work Experience all increased by 1 point over last year’s scores. The Global Satisfaction Index, which measures employees’ overall happiness, reportedly remained flat at 64 out of 100 in this year’s survey. The New Inclusion Quotient, better known as "New IQ," which measures efforts to create an open and inclusive work environment, increased by 1 point from 60 out of 100 in 2017 to 61 this year. The Office of Personnel Management declined to confirm or deny the accuracy of the data in the TSP presentation, and officials declined to provide information about governmentwide response rates. “Unfortunately, we can’t confirm or provide anything until our report is released this later this week,” an OPM spokesperson told Government Executive in an email Monday. 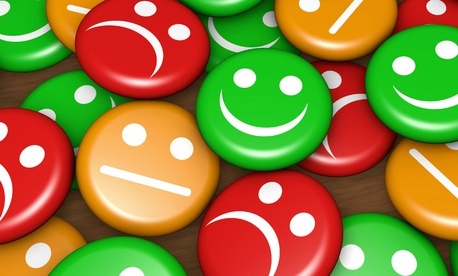 Last year, OPM cited sustained improvements in happiness and engagement—the third straight year of gains—despite the fact that participation in the Federal Employee Viewpoint Survey hit its lowest level since 2004. And some of the agencies that saw no major change in survey results, like the State Department, reported double-digit drops in response rates. Following the latest drop in participation, some government observers suggested that OPM could simplify the more-than-80 question survey, or move from a survey model, where only a selection of federal workers are eligible to participate, to a census, which solicits responses from all employees.